I am an early riser. I always have been. I am secretly jealous of people who are able to sleep in when they’ve stayed up the late the night before. Regardless of the late night I’ve had before I am usually up by 6:00am. One of the many upsides of being a morning person is that I am able to get things done in the morning before others have even woken up. On the weekends I like to go and hang out with people who are up even before me. 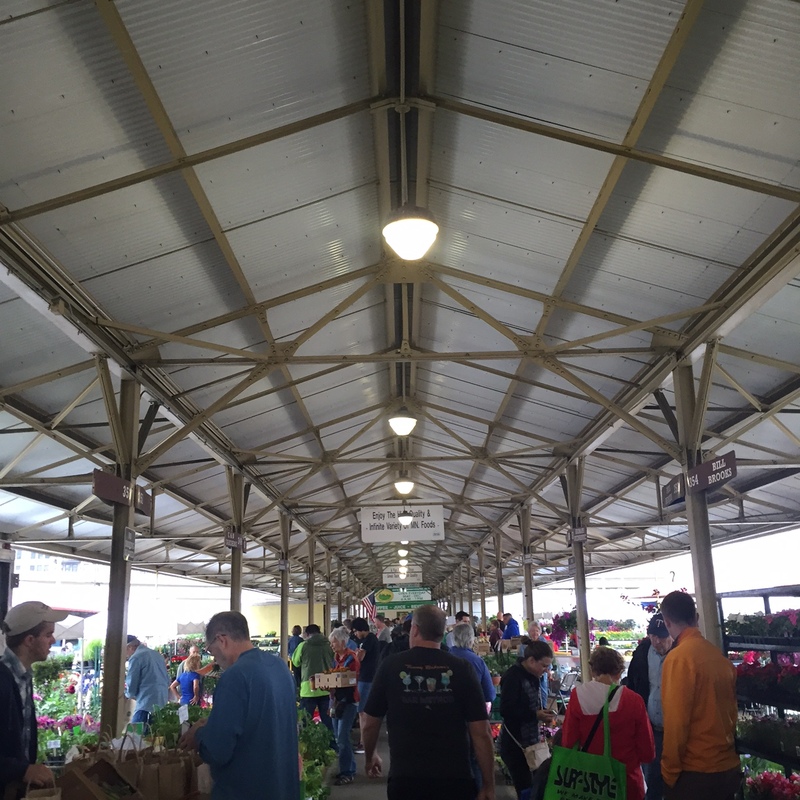 On either Saturday or Sunday I love to stroll over to the Minneapolis Farmers Market. 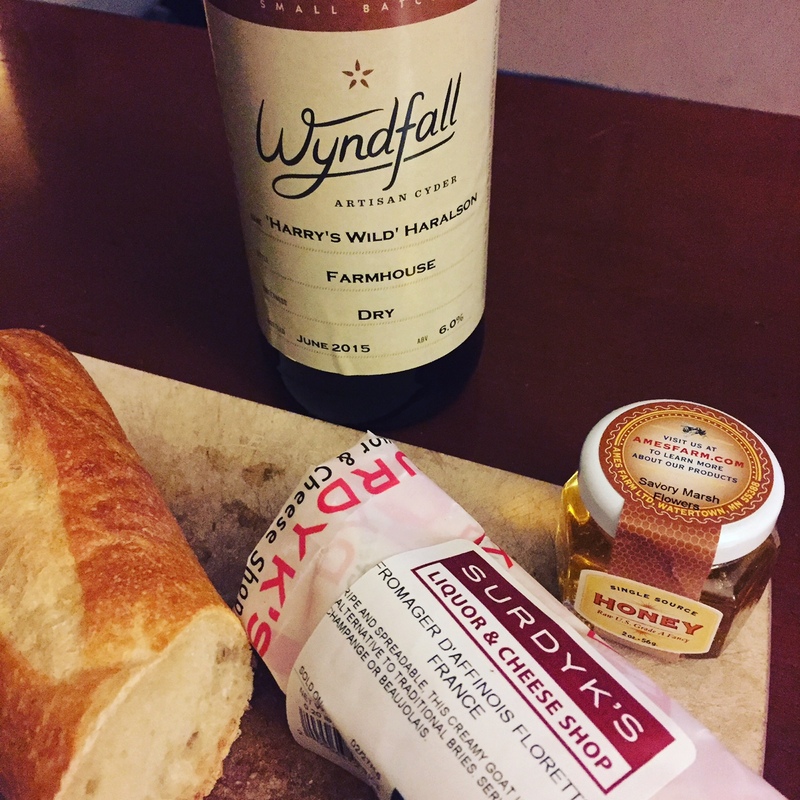 Each week I like to stop by my favorite stalls and pick up an ingredient that I hadn’t even planned on buying and then I try and make a meal with that ingredient. 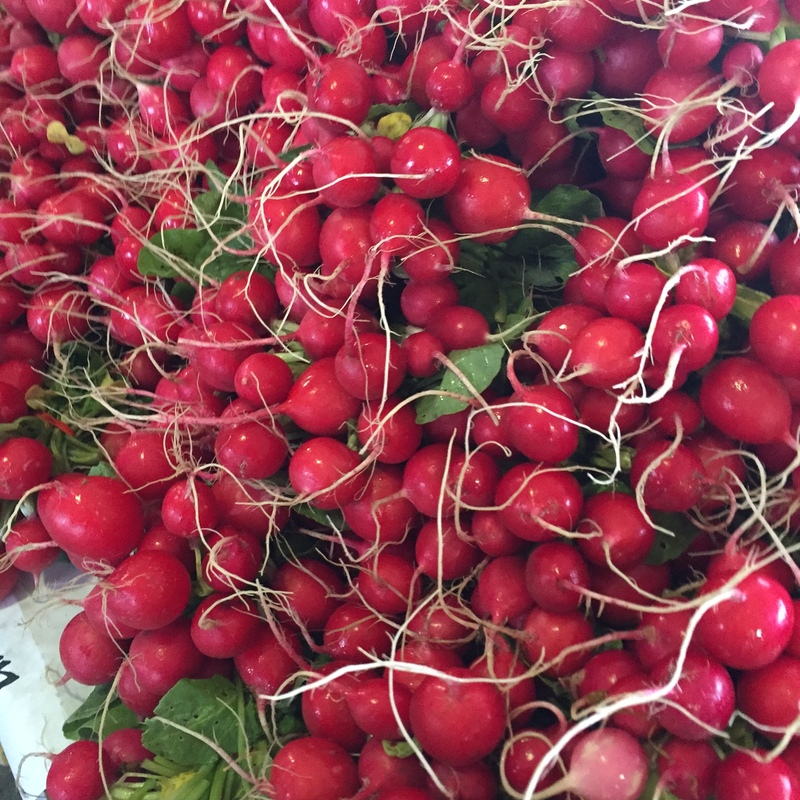 This week I picked up radishes that I plan on quick pickling for tacos this week. I also picked up some spring onions that I put on a sourdough breakfast sandwich with an egg and goat cheese. That Rustica sourdough sandwich was delicious! I really enjoy just strolling around the market and looking at what each stall has and planning menus in my head and getting there early helps me avoid the crowds that show up around 9:30am. Sometime this summer get out to the Farmers Market early in the morning pick up something special for yourself and enjoy something new on your table. What do you like to do when you wake up early? The Duluth Grill is a must stop for me anytime I go up north. It all started on a camping trip that was supposed to be only in the Upper Peninsula of Michigan then turned into a Duluth adventure thanks to unpredictable weather. On that trip without a plan I found two amazing restaurants, a breakfast place in Michigan where they made their own bread and jam and the whole meal cost me five dollars, and a trip to Duluth where I was able to discover all the joints that the locals raved about including the Duluth Grill. Now, I’ve been known to make the trip to Duluth just to eat at the Duluth Grill and Northern Waters Smokehaus. Once you go to the Duluth Grill you never really forget about the brightly colored cups, amazing choices on the menu, and the fact that it sits in a strange part of town but everyone seems to find it alright anyways. Who needs to be by the stinkin’ lake walk anyways? One of the things that I appreciated most about the Duluth Grill is the attention to vegetarians and vegans- there was no sacrifice of flavor or heartiness that I see at more restaurants than I would care to think about. It was much more than a salad. Plus, you knew where many of your ingredients were coming from. The Duluth Grill Cookbook and now the new Duluth Grill Cookbook II give you an even more in depth story about where the ingredients are coming from and how to make some of your favorite dishes at home. The can’t miss section from this cookbook is the condiments and sauces. Every time I go to the restaurant I am blown away by how much detail is put into each dish and how each thing, even the sauces and condiments, feel like they are thought out and made with love. So, you can only imagine how great it is that they’ve revealed some of their secrets and we can now try and make it at home. Sometimes we forget that the simple when done right can be just as beautiful. The Garlic Spread is one of those items with only 4 ingredients it lets the garlic be the star of the show and added to the right dish, it gives it the upper edge. I was very excited about the Cilantro Lime Vinaigrette, it’s easy peasy and tastes so much better than a store bought dressing. I admit that as a home cook I sometimes struggle with Vegan recipes. I love cheese way to much. I’ve never even thought of using walnuts to make an alternative to taco meat. This recipe makes you feel like you can take on cooking this dish even if it is much different from the way that you normally cook. If you are a fan of the Duluth Grill like I am, pick up a copy of both of their cookbooks, learn about the local farmers and the people behind the food. As for me, I’m planning my next trip up north even if it’s just for a day. because good food is found by the locals. Disclosure: I received an advanced copy of this cookbook. There’s really nothing better than getting a thoughtful gift. 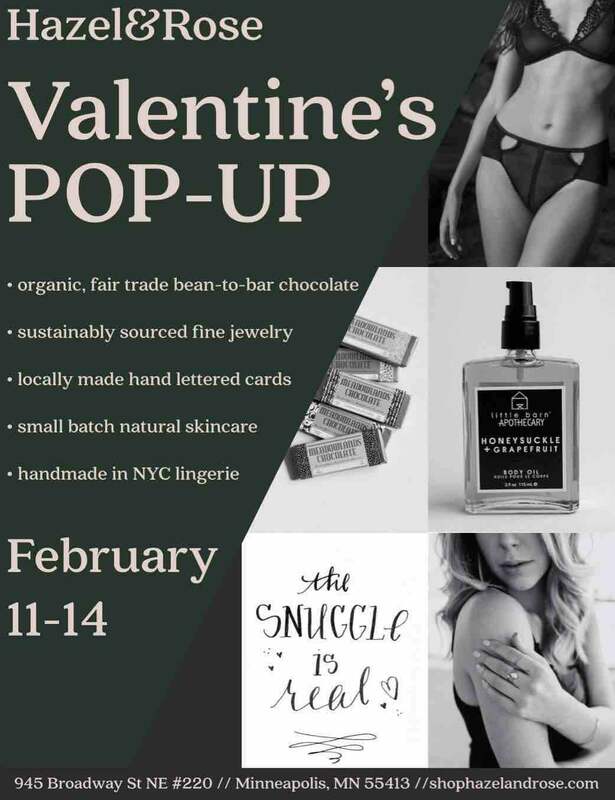 The gifts you will find at the Hazel and Rose Valentine’s Pop-Up are sustainable, ethical, and have been carefully selected by shop owner Emma Olson. You’ll be in good hands if you are still in search of the perfect gift. The items you will find at this pop-up won’t be found at any big box retailer and certainly are created and manufactured with love. Many items are handmade which adds to the uniqueness. I think I might just go shop for myself because Valentine’s Day is about self love. Right? Thursday, Feb 11 – Saturday, Feb 13 11am-7pm until Sunday, Feb 14 11am-4pm. You have no idea how excited I am about this! A few weeks ago my cousin and his wife were in town and they told me about this meal delivery service that they have in Milwaukee. 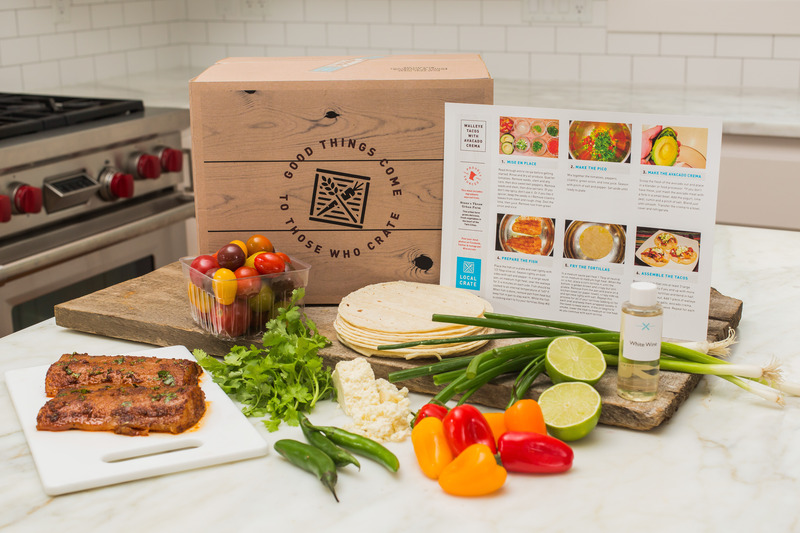 They have fresh ingredients shipped to their home with recipes that they can make fairly fast. They like to cook like I do but since they have a new baby, time is not on their side. This is a quick way to get a healthy meal and still have the taste of a freshly cooked meal. All I thought to myself is— how do we not have this in Minneapolis? I ran across Local Crate recently in my Twitter feed thanks to the awesome people that I follow. It looks like they are trying to make a go of this same idea but are sourcing local Minnesota ingredients. 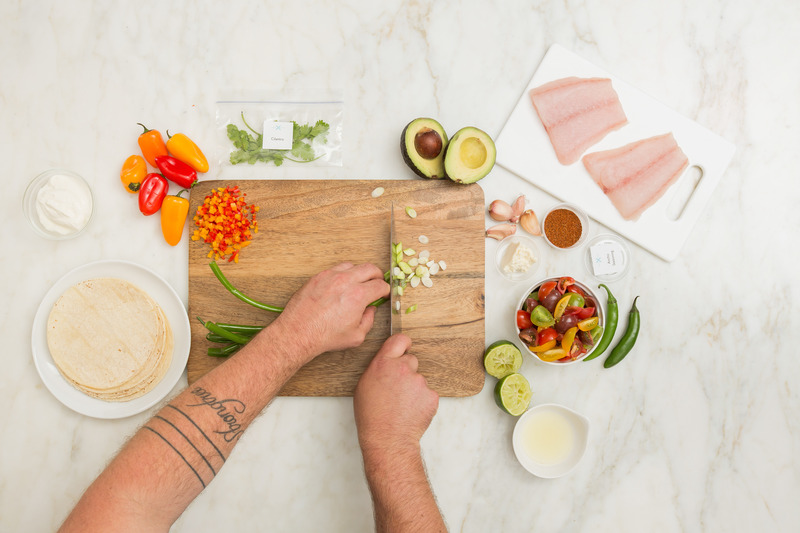 Local Crate is a delivery service that sends fresh, local, portioned ingredients, and chef designed recipes to Minnesotans weekly making it easy for people to cook locally. Now, this is an idea that I can get behind! I enjoy eating out at restaurants but it is not something that I can do everyday. This would be a great fill in for the weeks that I am craving a home cooked meal and when I have commitments that don’t allow me enough time to get to the grocery store. I usually only cook for two people and you usually can’t buy the ingredients for only two portions. This is a great way to get only what you need for the recipe and eliminates that one jam you needed for that ONE recipe that you made a year ago and it is still sitting in your refrigerator (not from personal experience, nope, not here). Local Crate was started by the Kitchen Ninja and the Baby Kitchen Ninja AKA: Mike Stalbaum and Frank Jackman. They both were working for a large food manufacturer and realized that they could create a business around helping their community by working with local farmers and providers. They are passionate about changing the way that people eat and want to give back to our community. I am super excited to see where Local Crate goes! The meals look great with options ranging from Spaghetti Carbonara to Shakshouka. Each recipe on listed on their website is something that I would enjoy trying. Also, they have enough variety that I don’t think I would get sick of the options. Each recipe comes with detailed instructions and a picture (this always helps me). CLICK HERE to help them reach their goal! Because this is a great idea and I can’t wait to try it! I am not the type of person to normally wear lipstick. I am starting to get more into wearing lipstick after discovering the Aromi Matte Liquid Lipstick at Garden of Eden. I love the highly pigmented colors that you can get because it really pops. The greatest thing about this lipstick is that is stays on! I call it my two beers lipstick because I can drink two beers without it all coming off. It is not permanently on your lips so it does come off with any makeup remover and if you are licking your lips a lot. I wear the flamingo red which is more of a blue-red and cannot wait to see what new colors will be coming out. Aromi is a local company that provides handcrafted cosmetics and fragrances that are formulated from scratch, handcrafted in their own laboratory, with great ingredients. I first discovered them awhile back when I wanted to buy their solid perfume for travel purposes. It is also great and solved a problem that I had– I wanted to wear a fragrance but only wanted to bring a carry on bag. I ended up falling in love with their scents and I’ve bought many of the cologne solid fragrances for gifts. The Founder Hannah, created Aromi out of a passion for chemistry and all things beauty products. She is a chemist by trade and spent years working as a formulation chemist before finally starting Aromi. All the products are vegan too! You can buy both the Matte Lipstick and women’s solid fragrances at Garden of Eden on Grand Avenue (Only some of the colors available). Have you tried Aromi? What is your favorite color? Disclosure: I bought by own Lipstick at Garden of Eden. These opinions are my own and when I find something like this I feel the need to write about it to let other people know. Plus, supporting local small businesses is my thing. I had so much fun last night! I hope you did too. 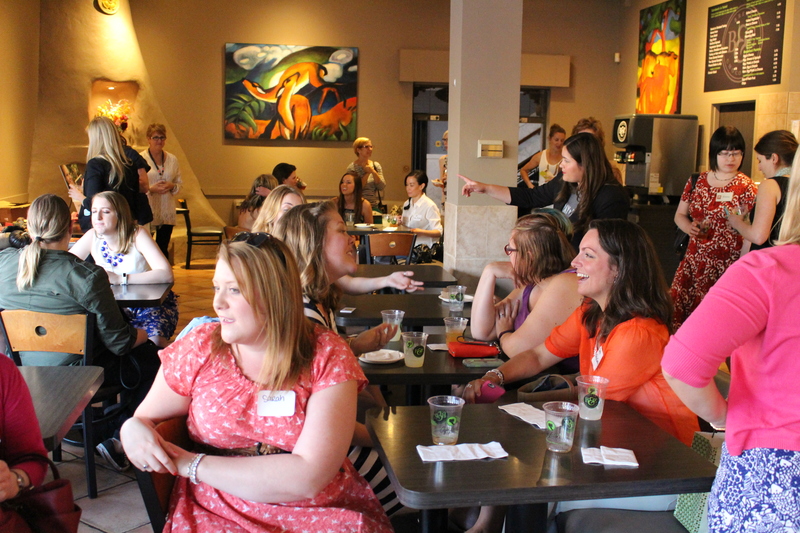 Last night I helped host #MNBloggerBash with Linda from Garden of Eden and Alexis from myTalk 107.1 at Bread & Chocolate. 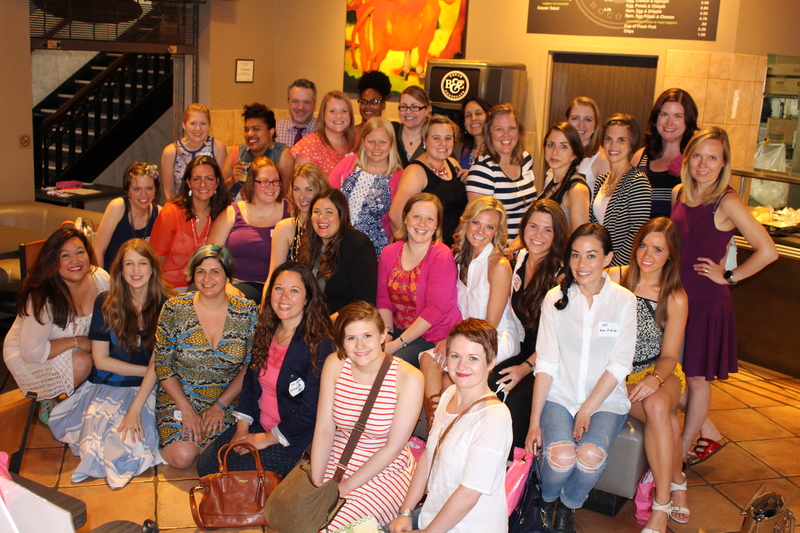 It was just a night for bloggers to get together and talk. We rarely get to see the people we talk to on social media in real life and this was a great chance to do that. Plus, a few giveaways and a swag bag from Garden of Eden! Did you like your signature scent? I hope you were able to meet someone new that you didn’t know before and make this blogger community a little bit smaller. I think everyone did because there was so much energy in that room! It was really fun to get to catch up with friends that I met when I first started blogging (Life with Levi, Katie Looking Forward, and Being Zhenya). But, I also met new people (HappyShoeDay, A Pinch of Lemon, Champagne and Macaroons, Wool and Whiskey, Some of the Flock of Broads, and so many others). I wish I had a chance to meet every single person that I didn’t know! The feedback that I received from the event is that we need to do this again! We need to do it again just because I wasn’t able to meet everyone that was there. The Blogger Bash was born out of wanting to get together with my blogger friends to just have some time to chat. I feel like the only time we get together is if it is educational or being pitched. Rarely, do I have the chance to get together with a HUGE group of bloggers where I just get to hang out. It was amazing to FINALLY meet bloggers I know only from our twitter relationship (Twila Dang)! I want to send a BIG thank you to Alexis Thompson from myTalk 107.1 and Linda from Garden of Eden for being excellent hosts. 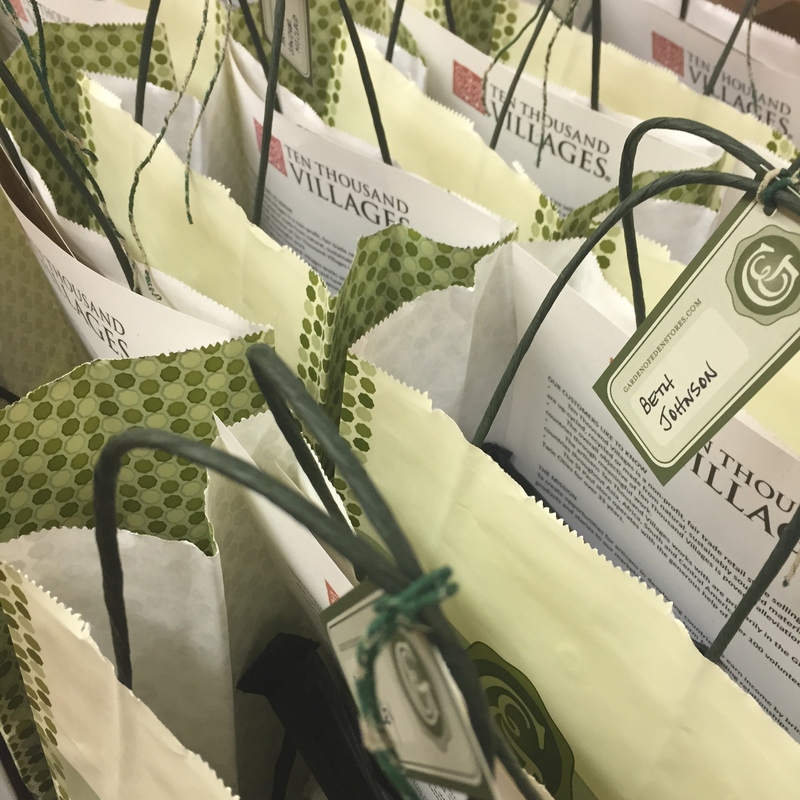 I hope you liked the wonderful swag bags from Garden of Eden. Linda wanted to pick signature scents for each of you! It also contained Aromi Matte Lip Stain, Aromi is a local company that can be found at Garden of Eden. You each got my signature color Flamingo Red! We are thankful for all of the great local businesses and non-profits that could come: Plush Pumpkins, Hope Chest, Invision, Ten Thousand Villages, and Vine Park Brewing. 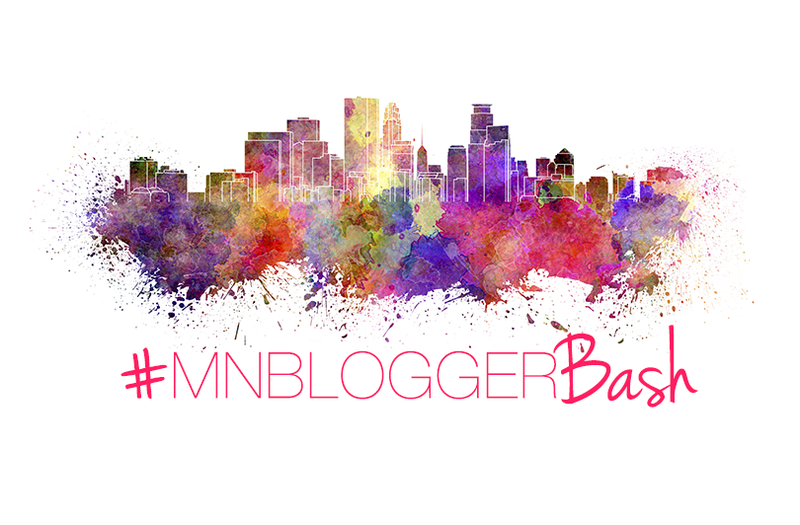 If you loved this event make sure that you don’t miss out on the Minnesota Blogger Conference. It happens in the fall and is one of the BEST events for local bloggers. I saw a presentation from Lauren Melcher that changed my life. Give me a little time to recover and I will start planning the next Blogger Bash! If you are a blogger and would like to get an invite to the next event comment below with your email address. We will be limited again by whatever venue we choose so only limited amount of invitations will go out. You know that whole fire code thing. I will be posting the pictures on the Garden of Eden Facebook page later today! CLICK HERE! Because we need to meet each other in real life! 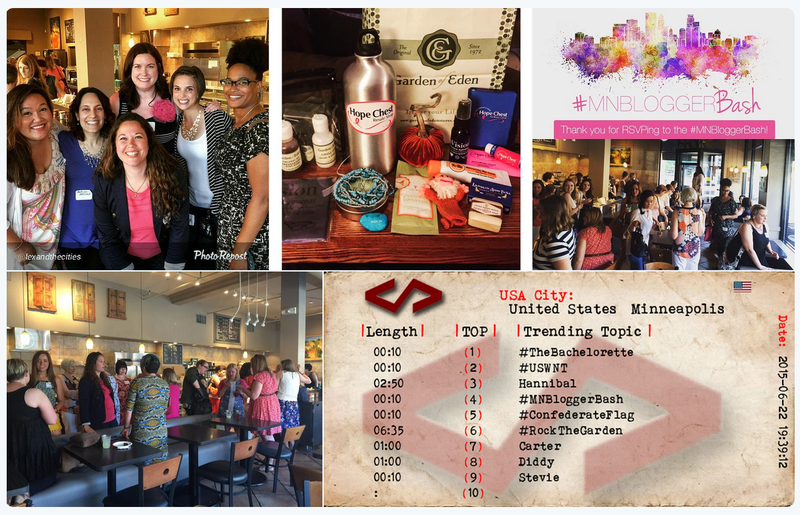 What was your favorite part of MNBloggerBash?